START YOUR JOURNEY TODAY AND DEFINE YOUR EYEBROWS TO PERFECTION. 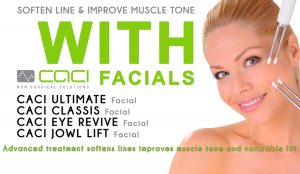 Now introducing LYCON Wax to Hadley Wood & Palmers Green clinics. Threading is an ancient hair removal technique using cotton thread, practised for centuries mainly amongst the Asian and Middle Eastern regions. A thin cotton thread is twisted into a double strand which is then swept along the skin in rhythmic movements. The unwanted hairs are secured in the thread and lifted from the follicle with precision and finesse. Many of my clients and myself would agree that Threading causes less discomfort than brow waxing as it targets individual hairs in stead of removing it as a whole strip. Waxing can also break the hairs whilst being pulled out the skin which will cause ingrowth and if having to repeat the wax over a weed area, some irritation can occur. Whereas Threading can be run over a certain area multiple times without causing any irritation and also no chance of broken hairs. Of course, every individual’s pain threshold is different so it varies from person to person. 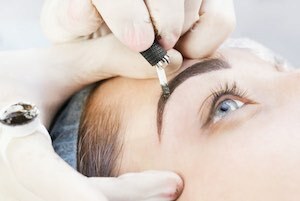 Is Threading better then waxing or tweezing? Yes! 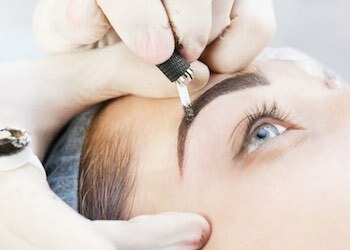 Threading is known to be a superior option to waxing and tweezing. This eastern method requires less discomfort and eliminates the chance of irritation such as wax that is too hot. Threading keeps skin irritation to a minimum, excessive pulling around the eyes is eliminated. One of the major drawbacks of waxing and tweezing is that it’s easy to remove the wrong hairs. Threading offers the best solution as the main attribute of threading is precision. Hair is removed from the root so there is a slower regrowth process. Depending on your hair type full regrowth can take from 2 – 6 weeks. Hair will grow back finer and sparse after repeated threading because the hair is pulled out at the root, which causes it to weaken through the process. In the long run, this saves time money and mainly maintenance. BEAUTY-WAXING REGULAR WAXING WILL EVENTUALLY LEAD TO MUCH FINER HAIR AND MORE SPARSE RE-GROWTH. ALL OF OUR THERAPISTS HAVE HAD ADVANCED TRAINING IN ALL AREAS OF WAXING. A relatively new semi-permanent make-up option that leaves you with real looking eyebrows in just a few hours. WHY GET IT DONE ? Anyone who wants to enhance or reconstruct their brows. People who plucked out their brows in the 90s till they never returned, those born with sparse eyebrows, people who have lost their brows through chemo, trichotillomania or alopecia, or simply those looking for a bolder shape. Microblading uses a fine scalpel-type blade to apply the ink rather than a traditional needle, allowing the practitioner to create a natural-looking brow with short, ultra-fine micro lines that look like individual hairs. The blade means the colour is implanted closer to the surface of the outer layer of the skin, meaning the strokes are crisp and fine. The fine lines can be applied in the same direction of hair growth, resulting in an appearance that’s as close to a natural brow as it gets. Anaesthetic cream is applied to the brows before the treatment begins and left to settle into the skin while you choose your brow colour. During the treatment, you will feel a scraping sensation but it shouldn’t be particularly painful. More anaesthetic can be added during the treatment to further numb the area if necessary. After the first treatment, you will need a second 4 – 8weeks later to review the result and fill in any areas that need it. The brow will fade naturally over 12 – 18 months as the skin rejuvenates, at which time you will need a top-up treatment to retain the shape and colour. A colour top-up can be carried out every 6 months to maintain the depth of tone. Microblading is considered semi-permanent so the results can last between 1-3 years, and it is recommended to have regular annual touch-ups to retain their shape and colour. A method of applying individual eyelash extensions to lengthen and thicken the appearance of your eyelashes. Your lashes will remain perfect from the moment you wake up with no extensions, no adhesive and no more mascara. What are ‘Individual Eyelash Extensions’? Applying individual Eyelash Extensions is a method for lengthening and thickening the appearance of your eyelashes. 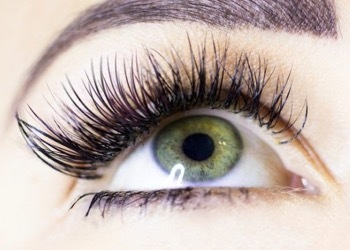 High quality, synthetic mink or silk based extensions are applied to each individual natural eyelash, one at a time. This process leads to an incredibly natural, head turning finish. Volume lashes are pefect for clients with less lashes, bald spots or for the impact of a dramatic look. The method we prefer, uses between 2 – 5 extremely light, thin extensions applied delicately on each lash creating a soft, gossamer appearance. This method ensures a show stopper look that is not heavy or damaging to the natural eyelash. For The Classic set we use the traditional method of individual lash application. To each individual natural eyelash, one high quality lash extension is attached. If you are looking for a natural look or already have a lot of natural lashes this set are wonderful. It enhances your own lashes with perfect subtlety. Can eyelash extensions harm my own eyelashes and is it safe? When applied carefully by fully qualified, certified and insured technician individual eyelash extensions will not harm your existing eyelashes or pose any danger to your eyes. Infills are a cost effective way of increasing the life span of your lash extensions to keep your eyelashes looking great. The process takes from 45 minutes – 1 hour and entails new eyelash extensions being added to your re-growth. Required every 2 – 3 weeks. Times may vary according to how well you look after your extensions and at what speed your natural eyelashes grow. Your eyelash extensions will last 3 – 6 weeks provided you follow the aftercare instructions. As your eyelashes grow you can expect most of the extensions to start to shed. At this point an infill is recommended. Your natural lashes will promote the benefit of LVL Enhance for up to 6 – 8 weeks. Little maintenance is required once you leave the salon. What’s more, by combining the treatment with regular use of our unique Nouveau Lashes Conditioning Serum to nourish your lashes, you could be about to say goodbye to mascara for good! The gentle product formulations are carefully manufactured and tested to prevent any damage to your natural lashes. Our 10 years of lash lifting has given us the expertise to reassure you, you’re in great hands. FOR A RELATIVELY SHORT TREATMENT YOU CAN REVERSE YEARS OF STAINED TEETH AND HAVE A AMAZING SMILE IN NO TIME. Maybe you’ve always wanted a beautiful white smile. Or your teeth have yellowed over time. Maybe you’re not happy with the staining that results from drinking coffee, tea or cola. Whatever your reason for wanting whiter teeth, you’re not alone. Whatever your reason for wanting whiter teeth, you’re not alone. Just like we all have different hair and skin colour, people also have different tooth colour. Some teeth are more yellow than others, while others yellow with ageing. Your natural tooth colour can also be affected by many factors. • The natural ageing process. • Using tobacco, drinking coffee, tea, colas or red wine, and eating pigmented foods such as cherries and blueberries. • Accumulation of plaque and tartar deposits. • Ingesting too much fluoride (more than 2 parts fluoride per million parts water) when teeth are forming, which gives teeth a ‘mottled’ look. • Treatment with the antibiotic tetracycline during childhood. • Trauma to the teeth that may cause a brown, grey or black colour. The aftercare procedure is as important as the treatment and it is strongly recommended clients follow a ‘White Diet’ for 48 hours after the treatment. We recommend clients do not consume anything that would stain a white piece of paper. • The treatment lasts two hours which includes a consultation and a colour match before and after. • The procedure begins with vitamin E applied to the lip area. • A retractor is then inserted into the mouth to keep the jaw open. • A gel is applied directly to the teeth; the client is given goggles to protect their eyes. • Next, a blue LED lamp is used to active the gel which is left on for 20 minutes. • The procedure is broken down into 3 x 20 minute sessions followed by a final 30 minute session. Which take place simultaneously. • The impact of the teeth whitening procedure is noticeable immediately. • The results will vary from person to person, depending on the level of discolouration. • The results can be maintained for between 6 – 12 months depending on if a regular hygiene routine is followed. • Most of our client’s teeth improve by between 4 – 10 shades in one session. 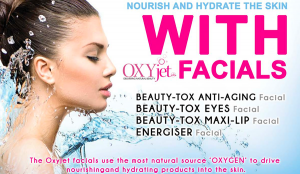 FACIALS TO SUIT ALL TYPES OF PEOPLE AND ALL TYPES OF PREFERENCES. BOOK A FREE CONSULTATION TO FIND OUT WHAT TREATMENT IS IDEAL FOR YOU. Our Swiss Care Clinics offer a variety of facials to suit individuals needs and help boost body confidence. Treatments range from 30 – 60 mins offering different finishes, techniques and products. Take advantage of our free consultation and get the right treatment for you. Read more about Facials for full list of treatments available. The Arjuna and Lupin-infused jowl and chin mask work on elasticity, whilst potent nutrients and stem cells found in Edelweiss and Tiger Grass help support the extra-cellular matrix. A deeply cleansing revelation for the oily, congested or hormonal skin. This mattifying facial helps combat oil and shine, while intuitive massage helps restore microcirculation. A deeply detoxifying treatment for clearer, bright skin. This booster treatment is specifically designed to give the skin an instant glow. Starting with a deep cleanse and exfoliation we will then apply a custom made mask whilst the mask penetrates to the deepest layers of the skin. Your therapist will perform a hand and arm massage or a scalp massage. In a short time, your skin will be refreshed, leaving you totally relaxed. This unique method is used to gently remove congestion and leave pores deeply cleansed and refined, your skin will be looking smoother, cleaner and fresher. This treatment includes a custom-made mask to suit your needs, leaving skin revitalised and soothed. This revitalising treatment begins with a deep cleanse, followed by a gentle exfoliation to reveal a smooth glowing complexion, steam, extractions, mask and a relaxing face and neck massage. This is the most powerful anti ageing treatment. This treatment is designed to help firm, smooth, nourish, regenerate and energise while controlling the biochemical triggers that lead to skin ageing. It includes a potent vitamin power exfoliation and a vitamin recovery mask for prematurely ageing, mature or devitalized skin. 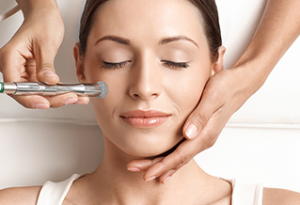 Our medicated clearing treatment will focus on purifying your skin with deep-cleansing, followed by extractions. Formulated to improve skin clarity and reduce blemishes, while soothing redness and inflammation. Encourages balance and control of this skin condition. What are the advantages of Diamond tip microdermbrasion over conventional crystal-based systems? Diamond tip microdermbrasion has overcome previous shortcomings of crystal-based systems, making it the most wanted microdermabrasion system worldwide. Diamond tip microdermbrasion diamond tips are 100% hypoallergenic and there is never a possibility of ingestion or inhalation of loose crystals. Pristine™ allows you to treat sensitive areas more deeply, without fear of over-abrading tissue or over exposure to crystal irritants. The multiple options of treatment tips allow for a customisable treatment suited to the various patients you treat, their skin types and sensitivities. Finally, treatments can be performed 100% faster than traditional microdermabrasion achieving a full face treatment in less than 10 minutes! Swiss Care provide half an hour to a hour treatments which include a face mask, toning of the skin and a massage. It costs £50. You can also combine it with one of your favourite Elemis facial to help achieve the best results. Massage is a general term for pressing, rubbing and manipulating your skin, muscles, tendons and ligaments and may range from light stroking to deep pressure. Swiss Care have a wide variety of massages to suit any person and their needs. This is a gentle form of massage that uses long strokes, kneading, deep circular movements, vibration and tapping to help relax and energise you. This massage technique uses slower, more-forceful strokes to target the deeper layers of muscle and connective tissue, commonly to help with muscle damage from injuries. Massage is generally considered part of complementary and alternative medicine. It’s increasingly being offered along with standard treatment for a wide range of medical conditions and situations. Beyond the benefits for specific conditions or diseases, some people enjoy massage because it often produces feelings of caring, comfort and connection. Despite its benefits, massage isn’t meant as a replacement for regular medical care. Let your doctor know you’re trying massage and be sure to follow any standard treatment plans you have. How often you should get a massage depends on several factors, including your physical and emotional needs; your stress levels; and your budget. There’s no question that you will experience the most health benefits from massage when you get massage regularly. Massage calms the nervous system, improves blood circulation and lymphatic circulation, relieves muscle pain, and helps with pain management in conditions such as arthritis, sciatica, muscle spasms. The term “Swedish massage” is generally a term applied to a variety of techniques designed to relax muscles by applying pressure to them, rubbing in the same direction as the flow of blood returning to the heart. A unique blend of Algae, Maritime, Pine & Rosemary essential oils to ease muscular tension and detox impurities. An ideal massage for men who are on a fitness programme. Designed to relieve specific stress and muscle tension, this deep rhythmic pressure massage gives the whole body a vigorous workout. Combined with specially blended Elemis massage oils, this treatment is tailor-made to suit your own individual needs. Our O.P.I Manicure treatments are designed so that even the busiest of people can have groomed hands. Give your hands the attention they need to soften and restore the skin and nails. Includes nail shaping, cuticle care, massage and polish. Our deluxe treatments also include a Paraffin Infusion. Our O.P.I Pedicure treatments are designed so that even the busiest of people can have groomed feet. Give your feet the attention they need to soften and restore the skin and nails. Includes nail shaping, cuticle care, massage and polish. Our deluxe treatments also include a Paraffin Infusion. Gelish is provided at Swiss Care Clinic we use the top brand Gelish Nails. This nail varnish is different to others as it can last up to 3 weeks if looked after properly. The gel liquid is painted to the nail in the same way that normal nail polish is, but it’s easier as it’s self levelling and you won’t leave brush strokes. Each coat of polish is cured under a LED lamp for 15 – 60 seconds. Does it ruin my natural nail? Treatments can take from 20 mins to 2 hours and we advise a consultation with the therapist to make sure it is tailored to your needs. At our Swiss Care Clinics we offer 3 different types of Body Wraps all designed for individual needs and results. If you’re not sure which one is right for you the book your free consultation today. Each treatment will leave you glowing, vibrant, replenished and flawless. SCR Gold Seaweed Body Wrap is a salon treatment using a highly effective blend of naturally sourced products developed in Cetuem’s own laboratories after twenty years of research. Adapted to each person’s problem areas, it works by detoxifying the body from its impurities into the lymphatic system, which then expels the toxins naturally. Step 2: In preparation for the treatment, the body is scrubbed with SCR Gold Seaweed Body Scrub: a kelp and seaweed body scrub with rosemary, juniper, grapefruit and thyme essential oils, to remove dry skin whilst increasing circulation. Step 5: Seaweed Body Wrap Gel is massaged into the treated area, then the body is wrapped in disposable film and left on for one hour, leaving the gel to work its magic. The formula is based on a compound of pure plant and marine extracts, caffeine to speed up cell metabolism and eliminate toxins, and pure essential oils of rosemary, juniper and sage to improve skin texture and promote a smoother skin tone. It is better not to shower immediately after the treatment but leave the gel to continue working its magic. To achieve best and lasting results and to lose up to 20 inches, a course of two weekly treatments is recommended for the first month, followed by a customised maintenance programme. This wrap os based on algae extract, breaking down fatty deposits improving cellulite, detoxing the body, encouraging a smoother and firmer appearance, strengthening the cellular structure of the skin. Amazing inch reduction loss, a genuine visual difference. An exfoliation ritual to invigorate and revitalise. after light body brushing, warm oil is dripped luxuriously over the body, before the sublime Elemis Exotic Lime and Ginger Salt Glow is applied. skin is deeply cleansed and moisturised, leaving it glowing and vibrant, replenished and flawless.